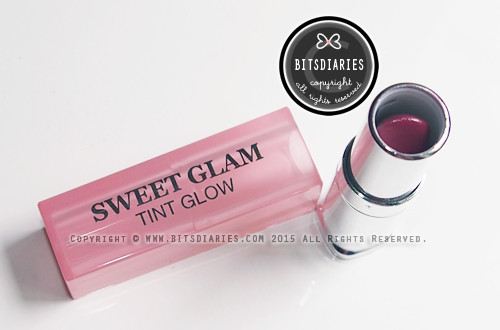 In my 2015 January to March Haul post, I have shared about Secret Key Secret Kiss Sweet Glam Tint Glow in Baby Pink and Chic Burgundy. And I said that I will write a review...... So here it is~! Well, I will be reviewing them both in two separate reviews. In this post, I will start off with the shade Chic Burgundy. 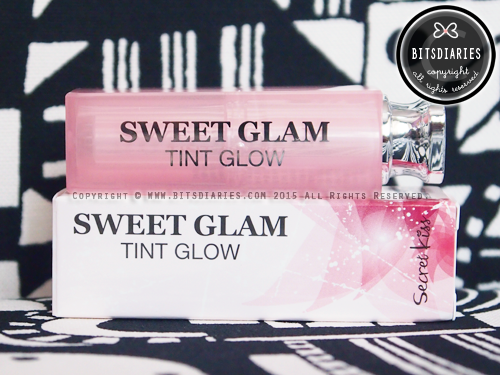 Secret Key Secret Kiss Sweet Glam Tint Glow is a 2-in-1 Balm + Tint lippie that contains lanolin oil, which offers a powerful moisture effect to the lips, keeping the lips moisturized all day without any dryness. It glides on smoothly, giving the lips a natural and delicate coloring and also, creates a protection veil to lips to keep lips smooth with luster. How To Use: Apply a moderate amount to dry lips frequently. In case some of you haven't heard of this brand... Secret Key is a korean skin care and cosmetics brand. 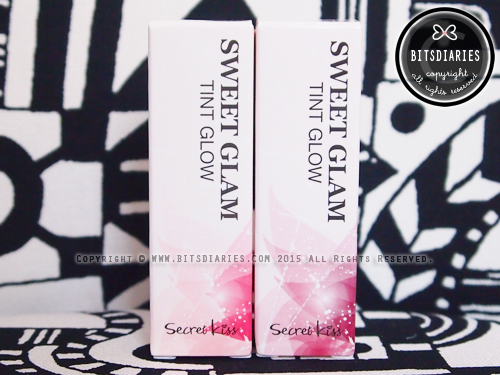 The packaging of Secret Key Secret Kiss Sweet Glam Tint Glow is kind of similar to Dior Addict Lip Glow. Seeeeeee~ Does look alike eh? 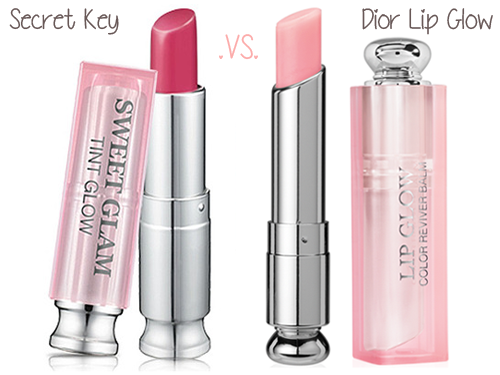 I find the shade Baby Pink, which I will be reviewing next, is more like a dupe of Dior Addict Lip Glow. For more info, stay tuned for the review on Baby Pink. Well, kick Baby Pink aside. Let's get back to Chic Burgundy. So from the name, you must have guessed it is a red lipstick. And you're right! Actually, the color of lipstick bullet is slightly darker than what's shown in the picture. It doesn't have any artificial scent or taste. It has a balmy texture that glides on really smoothly. The color may look dark on the bullet but when applied on lips or on skin, the color is totally different! P.S. : I will not be showing the swatches on my lips as the outcome of lipstick color on lips may vary individually because our lips colors are different. Are you surprised by how pretty the color turned out to be? 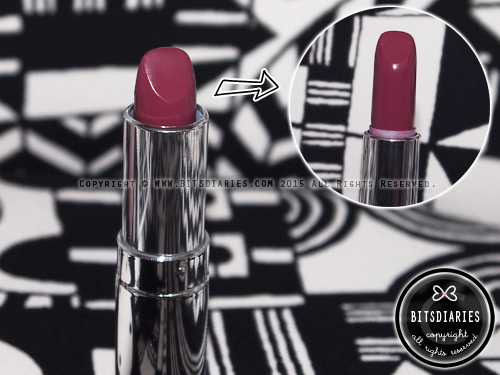 To tell the truth, I didn't pick up Chic Burgundy at first because the bullet in the tube looks really dark and scary. It's the kind of lippie I would avoid trying as I am not a person who would wear a dark or bold shade on my lips. 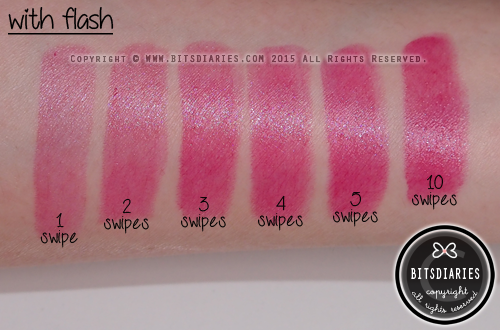 However, I decided to do a swatch and to my surprise, the color is not too intense with one swipe; in reality, it is actually very sheer yet buildable! 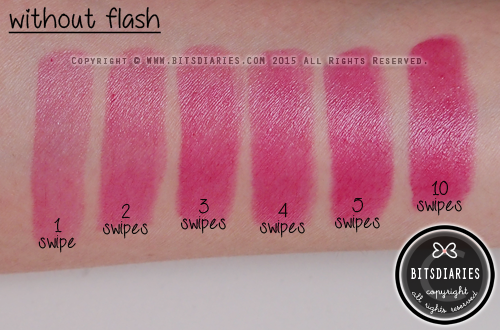 It has a pink undertone when applied sheer yet it can be built up to a very bold, pigmented red shade! So with that being said, NEVER judge a lipstick color by the bullet! I must say that Chic Burgundy is a really gorgeous color! Not to mention, it is very moisturizing like a balm and it gives the lips a lustrous tint, without sinking into the lines on the lips or leaving the lips feeling sticky. Speaking of tint, it may fade after eating or drinking but it won't be gone totally. There will still be a hint of color left on the lips which can only be removed with a makeup remover. Hence, I concluded that the color has an excellent long-lasting staying power. Frankly speaking, there is nothing I dislike about! Overall, in my view, Sweet Glam Tint Glow in the shade of Chic Burgundy can look extremely natural when applied sheer and much more dramatic when layered. Perfect red lippie for everyday and a night out! Ooooooh, the colour is so different. Not bad, maybe I will get it.